Graduated from National University in Tashkent (Uzbekistan) in 1994. Graduated from Tour Leadership School. 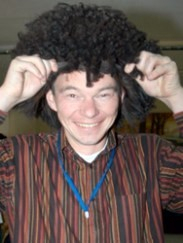 Maxim has been working in travel business since 1995. He has been guiding cycling, trekking and climbing programs and has ascended different mountains in Central Asia and Caucasus. Has climbed Mt Elbrus more than 50 times. “Hello my friends” says Vladimir and one can realize that those are not just words - you really feel with Vladimir as with the best friend travelling together in the mountains. He is one of the most reliable guides in the area whom you can fully trust. Works as a mountain guide since middle of 90-s. Has climbed to the top of Mt Elbrus more than 150 times. In 2002 she started work as a freeride tail guide and since 2007 works as a mountain guide also in the summer season in Elbrus. Has more than 50 successful ascending on Mount Elbrus, also ski descend in south and west directions, 2 successful ascending of Aconcagua, made a snowboard descends in Bolivia (Illimani, 6439m, Pequeño Alpamayo, 5400). 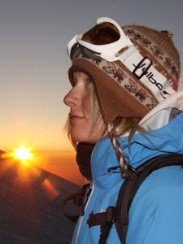 Oksana has taken part in many freeride competitions and filming. 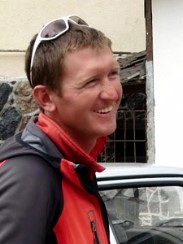 Sergei is real outdoor person spending most of his time in the mountains climbing and skiing. 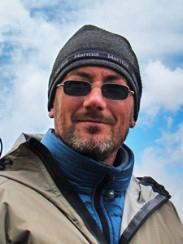 He is very experienced and reliable mountain guide. He has won Elbrus race in 2009 in extreme class (route from 2350m to 5642m) "flying up" to the top of Mt Elbrus in 4hrs and 19 min (! ).